Kotulskite: Mineral information, data and localities. 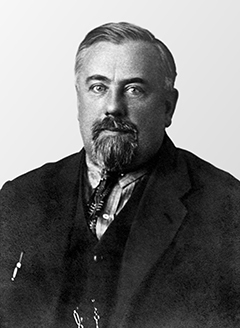 Named in honor of Vladimir Klement’evich Kotul’skii (Владимир Климентьевич Котульский) (9 July 1879, Bialystok, Polan – 24 February 1951, Krasnoyarsk, USSR), geologist at the Mining Institute, St. Petersburg, Russia. He was an expert on copper–nickel deposits. Member of isomorphic series Kotulskite-Sobolevskite and Kotulskite-Sudburyite. Geology Museum, Kola Branch, Academy of Sciences, Apatity, Russia, 5966. Genkin, A.D., Zhuravlev, N.N., Smirnova, E.M. (1963) Moncheite and kotulskite - new minerals - and the composition of michenerite. Zapiski Vsesoyuznogo Mineralogicheskogo Obshchestva: 92(1): 33-50. Bismuthian Plumbian Kotulskite Associated with norilskite. Chalcopyrite 3 photos of Kotulskite associated with Chalcopyrite on mindat.org. Keithconnite 1 photo of Kotulskite associated with Keithconnite on mindat.org. Epidote 1 photo of Kotulskite associated with Epidote on mindat.org. Galena 1 photo of Kotulskite associated with Galena on mindat.org. Hisingerite 1 photo of Kotulskite associated with Hisingerite on mindat.org. Kojonenite 1 photo of Kotulskite associated with Kojonenite on mindat.org. Cubanite 1 photo of Kotulskite associated with Cubanite on mindat.org. Fleischer, M. (1963) New mineral names. American Mineralogist: 48: 1178-1184. Kingston, G.A. (1966) The occurrence of platinoid bismuthotellurides in the Merensky Reef at Rustenburg platinum mine in the western Bushveld. Mineralogical Magazine: 35: 815–834. Fleischer, M. (1967) New mineral names. American Mineralogist: 52: 925-929. 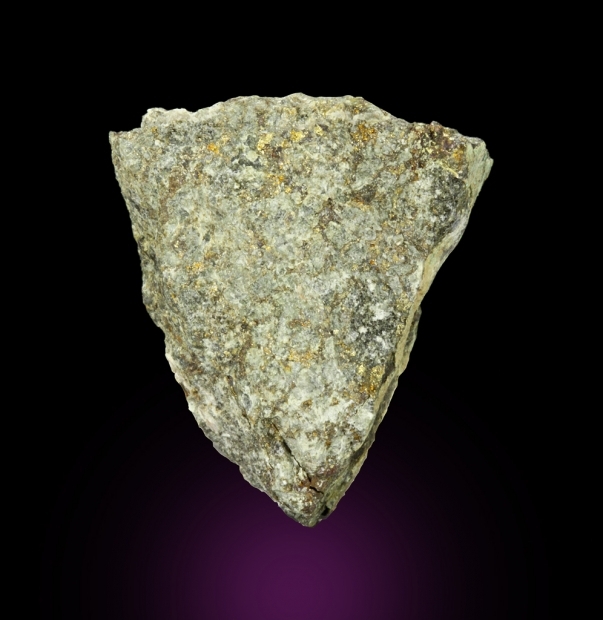 Zapiski Vserossiyskogo Mineralogicheskogo Obshchestva: 104: 568-579. Cabri, L.J., Laflamme, J.H.G. (1976) The mineralogy of the platinum-group elements from some copper-nickel deposits of the Sudbury area, Ontario. Economic Geology: 71(7): 1159-1195. Patterson, G.C., D.H. Watkinson (1984) Metamorphism and supergene alteration of Cu–Ni sulfides, Thierry mine, northwestern Ontario. Canadian Mineralogist: 22: 13–21. Stone, W.E., Fleet, M.E., Crocket, J.H., Kingston, D.M. (1992) Platinum-group minerals in pyroxenite from the Boston Creek flow basaltic komatiite, Abitibi greenstone belt, Ontario. The Canadian Mineralogist: 30: 109-119. Criddle, A.J., C.J. Stanley, Eds. (1993) Quantitative data file for ore minerals, 3rd ed. Chapman & Hall, London: 297. Vymazalová, A., Zaccarini, F., Bakker, R.J. (2014) Raman spectroscopy characterisation of synthetic platinum-group minerals (PGM) in the Pd-Sn-Te and Pd-Pb-Te ternary systems. European Journal of Mineralogy: 26: 711-716. Piestrzynski, A., Wendorff, M., Letsholo, M. and Mackay, W. (2015). Platinum-group minerals in the Neoproterozoic stratabound copper-silver mineralisation, the Kalahari Copperbelt, Nortwestern Botswana. South African Journal of Geology, 118(3), 275-284. Hoffman, E.L., Naldrett, A.J., Alcock, R.A., and Hancock, R.G.V. 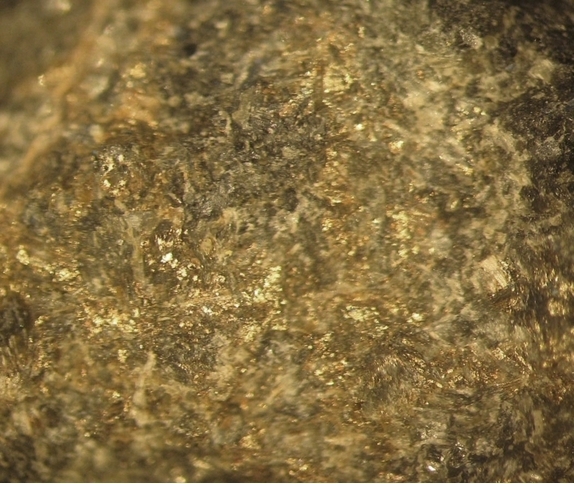 (1979) The noble metal content of ore in the Levack West and Little Stobie mines, Ontario. Canadian Mineralogist: 17: 437-452. Dana's New Mineralogy; Canadian Mineralogist 22:233-237; Louis J. Cabri and J.H. Gilles Laflamme (1979) Mineralogy of Samples from the Lac Des Iles Area, Ontario. Canmet Report 79-27; Hulbert, L. J., Duke, J. M., Eckstrand, O. R., Lydon, J. W., Scoates, R. F. J., Cabri, L. J., & Irvine, T. N. (1998) Geological Environments of Platinum Group elements. Geological Survey of Canada, Open File 1440. Natural Resources Canada. Econ Geol (1993) 88:817-836; CM 30, 109; STONE, W.E., FLEET, M.E.,CROCKET, J.H. & KINGSTON, D.M. (1992) Platinum group minerals in pyroxenite from the Boston Creek Flow basaltic komatite, Abitibi greenstone belt, Ontario. Canadian Mineralogist 30, 109-119.
ⓘ Shinkolobwe Mine (Kasolo Mine) ? Kojonen, K., & Iljina, M. (2001, August). Platinum-Group Minerals in the Early Proterozoic Kuusijärvi Marginal Series, Koillismaa Layered Igneous Complex, Northeastern Finland. In Proceedings of the sixth Biennial SGA-SEG meeting, Balkema Publishers, Lisse (pp. 653-656). Törmänen, Tuomo et al. 2014. New PGE-REEF mineralization of the Sotkavaara pyroxenite intrusion, Rovaniemi, northern Finland.GTK,Tieteelliset posterit, vol.338; Guice, G. L., Törmänen, T., Karykowski, B. T., Johanson, B., & Lahaye, Y. (2017). Precious metal mineralisation in the Sotkavaara Intrusion, northern Finland: Peak Pt, Pd, Au and Cu offsets in a small intrusion with poorly-developed magmatic layering. Ore Geology Reviews, 89, 701-718. Katie A. McFall, Jonathan Naden, Stephen Roberts, Tim Baker, John Spratt, Iain McDonald (2018): Platinum-group minerals in the Skouries Cu-Au (Pd, Pt, Te) porphyry deposit. Ore Geology Reviews 99, 344-364. 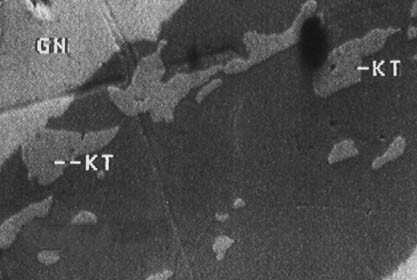 T. T. Alapieti, T. C. Devaraju, R. J. Kaukonen (2005) Sem-eds Study of the Platinum-group Minerals in the PGE mineralized Hanumalapura Segment of the Layeredmafic-ultramafic Complex of Channagiri, Davangere District, Karnataka. Jour. Geol. Soc. India, 65:745-752.; Devaraju, T. C., & Alapieti, T. T. (2014, January). Exploration for PGE mineralization in the Western Dharwar Craton. In Proceedings of the Workshop on Magmatic Ore Deposits. Geol. Soc. India Special Publ (Vol. 2, pp. 43-60). Tarkian, M., & Koopmann, G. (1995). Platinum-group minerals in the Santo Tomas II (Philex) porphyry copper-gold deposit, Luzon Island, Philippines. Mineralium Deposita, 30(1), 39-47. Stepanov, V.A., Rogulina, L.I., Melnikov, A.V., and Yusupov, D.V. (2007): Geology of Ore Deposits 49(7), 619-623.; Mel’nikov, A. V., Moiseenko, V. G., Stepanov, V. A., & Yusupov, D. V. (2012, January). New data on platinum-metal mineralization of mafic-ultramafic massifs in the Dambuki ore district (Far East, Russia). In Doklady Earth Sciences (Vol. 442, No. 1, pp. 13-16). MAIK Nauka/Interperiodica. Vymazalová, A., Laufek, F., Sluzhenikin, S.F., Stanley, C.J. (2016): Norilskite, (Pd,Ag)7Pb4, a new mineral from Noril`sk -Talnakh deposit, Russia. Mineralogical Magazine: 80: (in press); http://forum.amiminerals.it/viewtopic.php?f=5&t=12845 (2016). Pekov, I. (1998) Minerals First discovered on the territory of the former Soviet Union 369p. Ocean Pictures, Moscow; Barkov, A. Y., Martin, R. F., Tarkian, M., Poirier, G., & Thibault, Y. (2001). Pd–Ag Tellurides from a Cl-rich environment in the Lukkulaisvaara layered intrusion, northern Russian Karelia. The Canadian Mineralogist, 39(2), 639-653. (2014) 12th International Platinum Symposium p271; Junge, M., Wirth, R., Oberthür, T., Melcher, F., & Schreiber, A. (2015). Mineralogical siting of platinum-group elements in pentlandite from the Bushveld Complex, South Africa. Mineralium Deposita, 50(1), 41-54. Econ Geol(1992) 87:185-184; US Geological Survey, 2005, Alaska Resource Data File (ARDF); Goodall, G. N. (2001). PROJECT REPORT on the SALT CHUCK COPPER-PALLADIUM PROSPECT PRINCE OF WALES ISLAND, ALASKA. Bart Cannon (Cannon Microprobe, Seattle) analysis # FP52, January 1995. Loucks, R.R., McCallum, M.E. (1980) Platinum-group minerals in the New Rambler copper-nickel deposit, Wyoming: A preliminary report. ft Sulphosalts, Platinum Minerals and Ore Microscopy, 200-218. Proc. XI IMA Meet., Novosibirsk. (Am Min 74:1217); Econ Geol (1988) 83:492-510; www.cannonmicroprobe.com/Mineral_Specimens.htm and Cannon Microprobe analysis #R5-96. LIU, J., JIN, S. and WANG, Y. (2014), The Occurrence of Useful Components in Platinum-Palladium Deposit in the Great Dyke, Zimbabwe. Acta Geologica Sinica, 88: 1466–1467; Oberthür, T., Weiser, T. W., Gast, L., & Kojonen, K. (2003). Geochemistry and mineralogy of platinum-group elements at Hartley Platinum Mine, Zimbabwe. Mineralium Deposita, 38(3), 327-343.